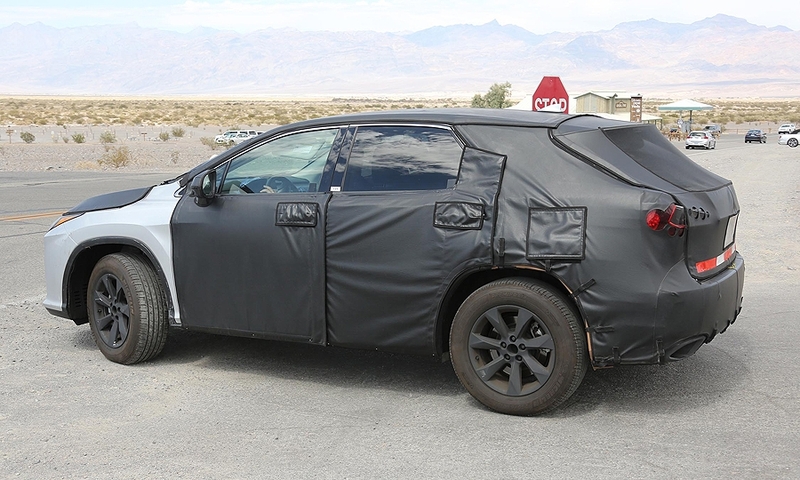 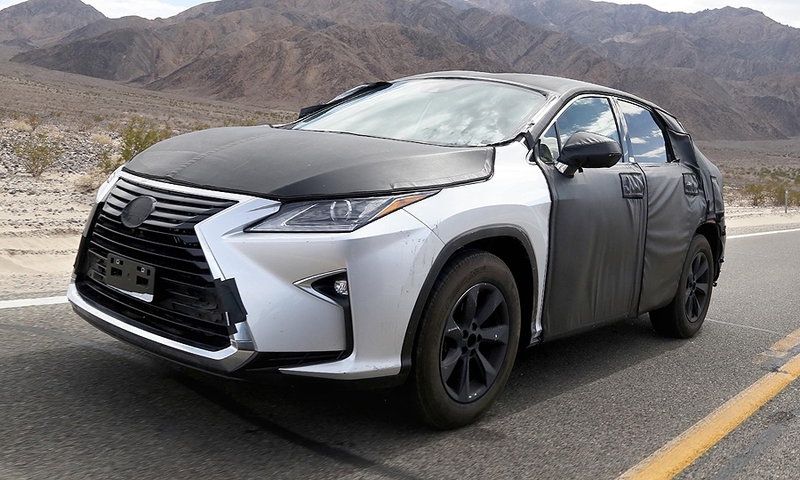 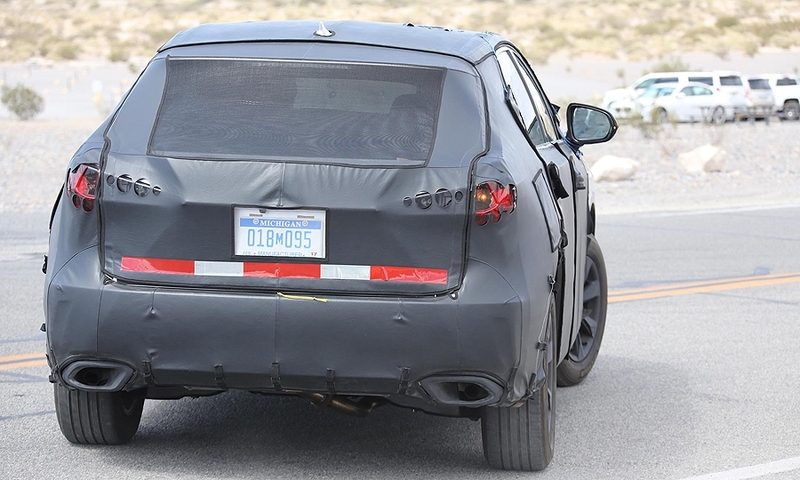 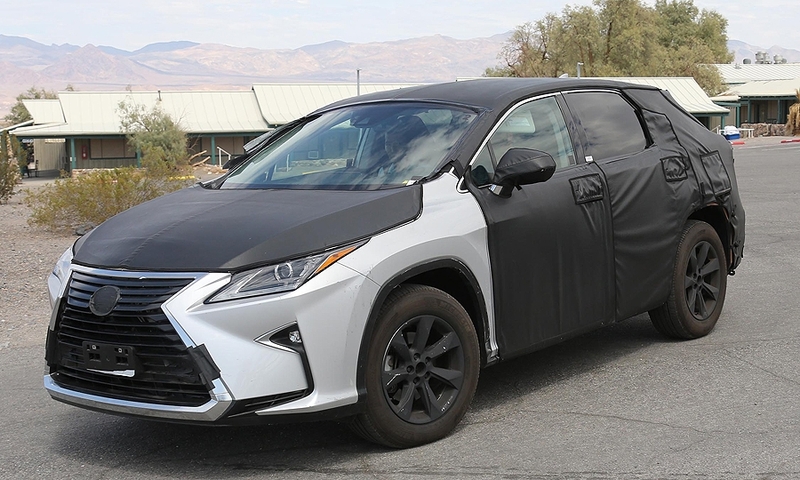 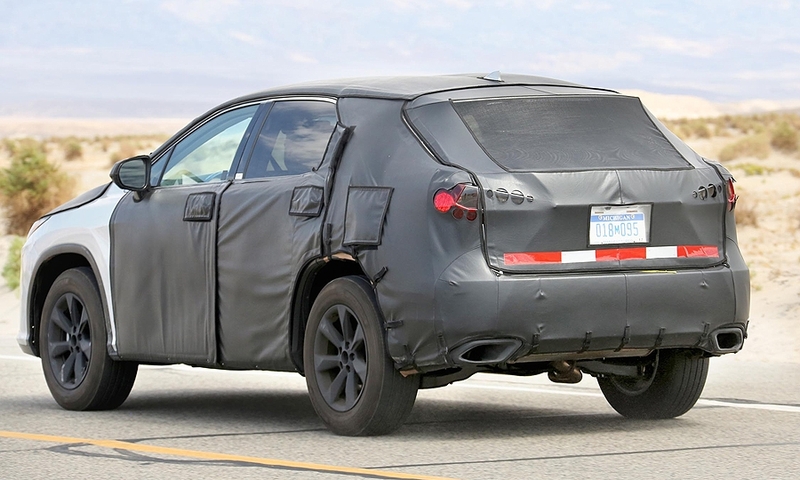 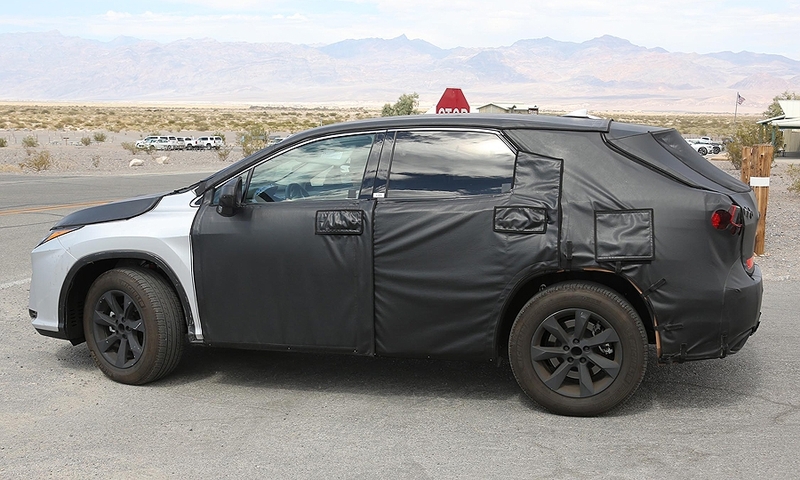 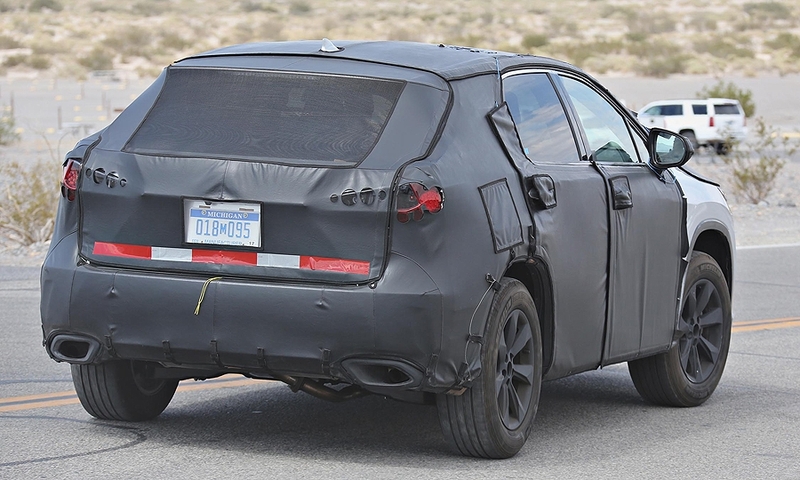 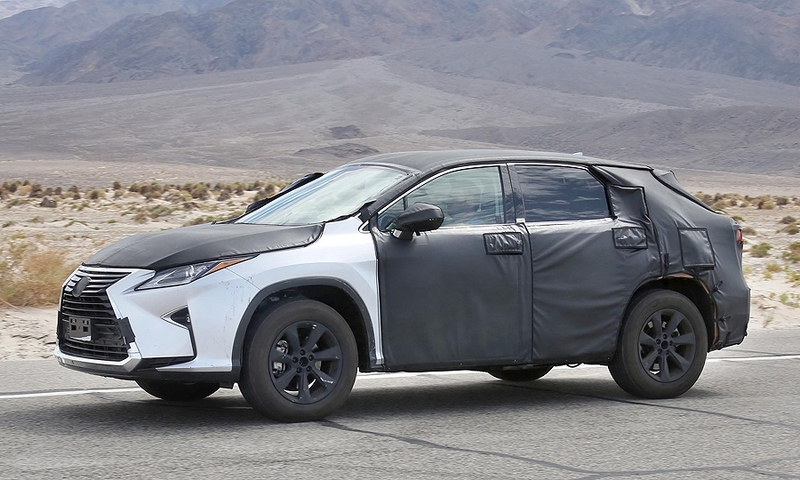 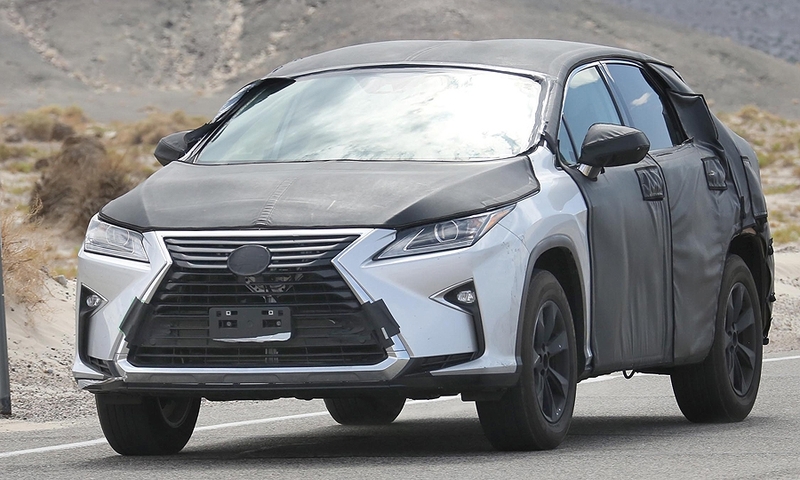 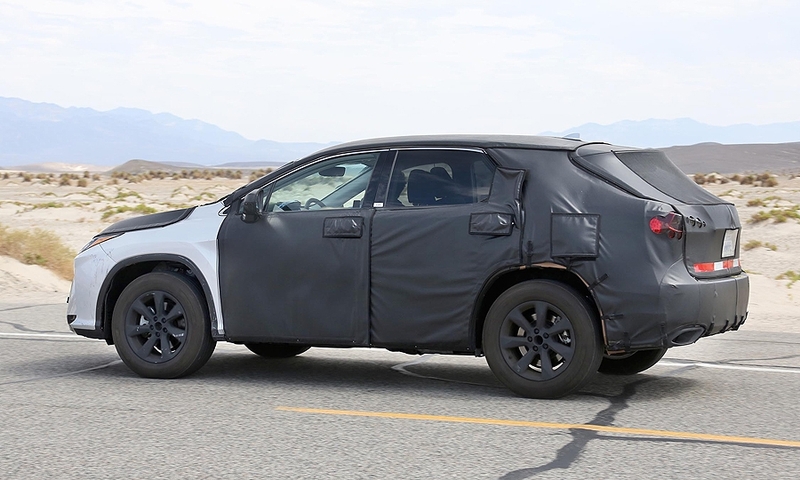 Spy photographers recently caught the Lexus TX crossover during hot-weather testing in the southwest desert. 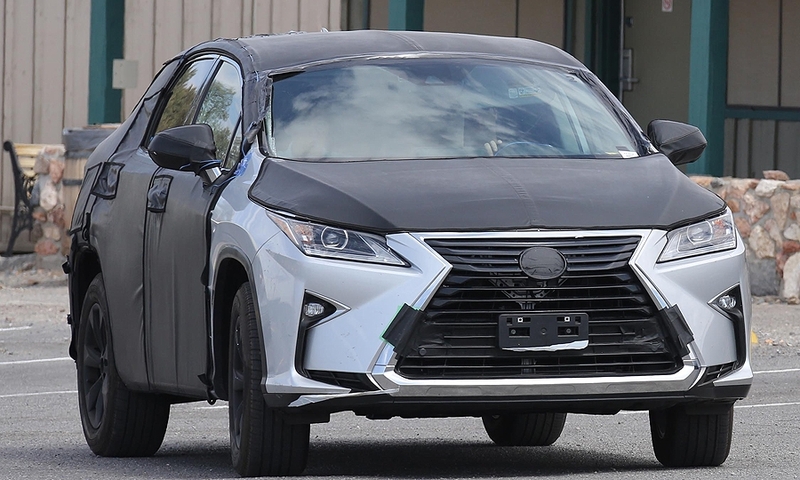 The face and front two thirds of the prototype look like the new fourth-generation RX crossover due on sale later this year. 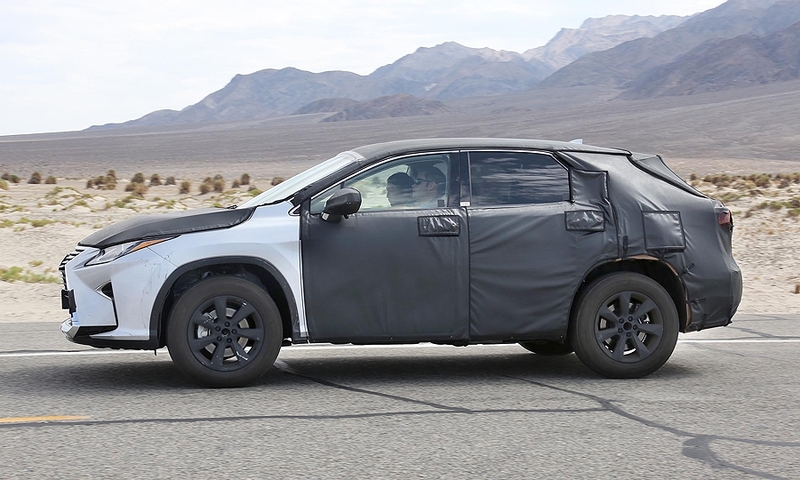 The TX, a slightly longer version of the RX, adds a third row of seats.